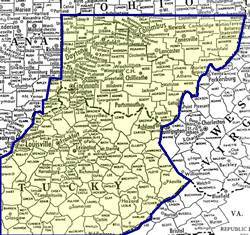 Generally speaking, Republic Equipment Company covers the southern half of Ohio, and the eastern half of Kentucky for the majority of our pricipals. Please note, our area of coverage does vary by product line and/or manufacturer. Some of our coverage extends beyond the general description listed above.